Did you know that cruciferous vegetables have been found to be protective against cancer? Several medical studies have published many times that a plant based diet is protective against several types of cancer. 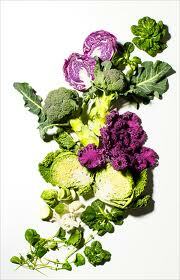 Cruciferous vegetables are particularly effective. They are rich in phytonutrients which control the risk of exposure to carcinogens, others which are protective against them and many more which have antioxidant protection. Remember… Eat Healthy, Be Happy! Say no to High Fat, High Sugar Diets!